During Elgar's tenure, the title of the post was changed from Master of the King's Musick to Master of the King's Music - in other words, the 'k' was dropped. Elgar (1857-1934) was appointed in 1924 at the age of 68 although he had gained royal favour in 1901 when he was asked to adapt his Pomp and Circumstance March No. 1 for Edward VII's coronation. 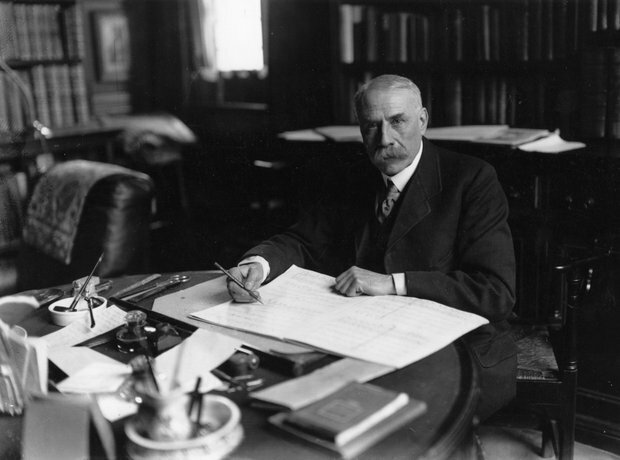 With Elgar's appointment, the position became akin to that of Music Laureate. Elgar did use his appointment however to track down the original instruments in Edward VII's band and to ensure the Royal Music Library was well ordered.